In this example we will see how to pass PHP parameters from an application into a widget of a Container to another application on another widget. 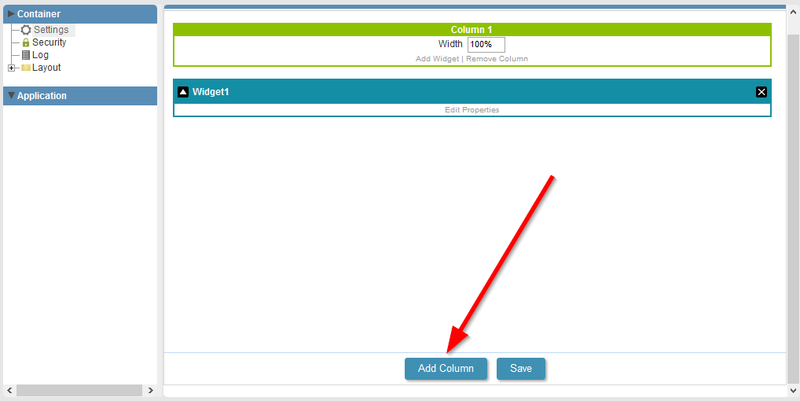 In the Container, we will create a widget with an application displaying a Grid with orders and another widget with the details of the order selected in the first widget. 1. Create a new Grid based on the application of order_details table, but let’s change the Select command to add a WHERE clause with a variable (where [ord]). 3. Generate the application source code. 1. Create a new Grid application nbased on the orders table. 3. Create one field of type text called “details”. Note: We can only know the ID of the desired iframe after creating the Container application. 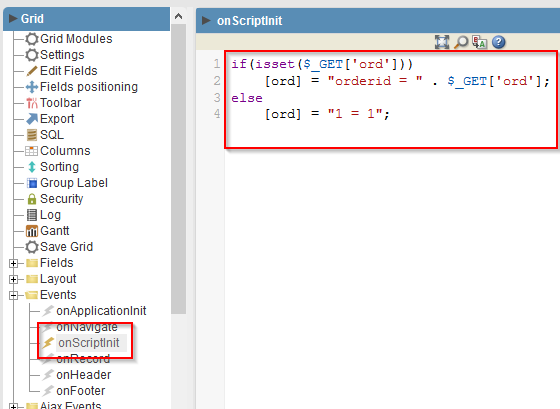 After creating it, go to “View >> Source Code” item in the menu Scriptcase, with the application of Container opened for editing. 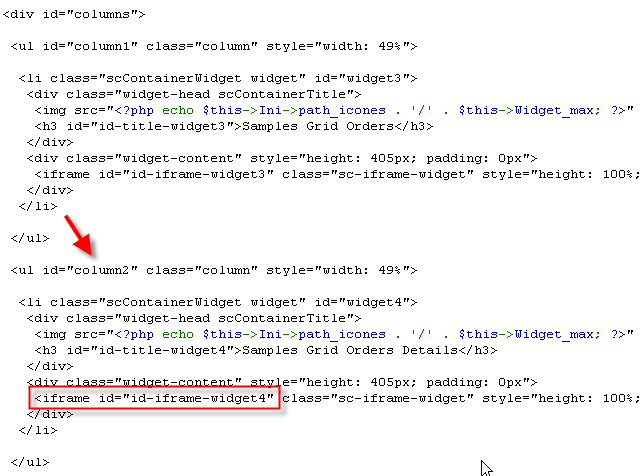 Select to display the code of index.php and look for id-iframe-widget. 6. Generate the application source code. 1. Now let’s create a new application container. 2. In the application menu, go to Settings >> Container and click Add Column. 4. Click the Run button on the toolbar.